This pocket-sized, inspirational planner was designed to help organize the details of a busy life, while focusing each day on Christ. 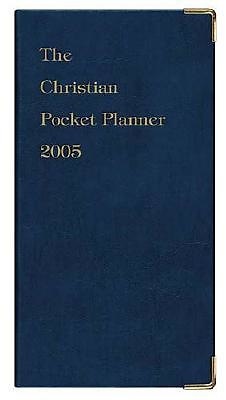 Now updated for 2005, J. Countryman's "Christian Daily Pocket Planner" has become a mainstay in the lives of believers. This year's theme, "Living a Godly Life," is broken down into month-by-month subjects, including "Wear Love-All Day, Every Day," "Never Look Back," "Let Trials Be Teachers," and many others. Featuring quotes and Scripture, this planner helps to keep spiritual, personal, and professional life in order.